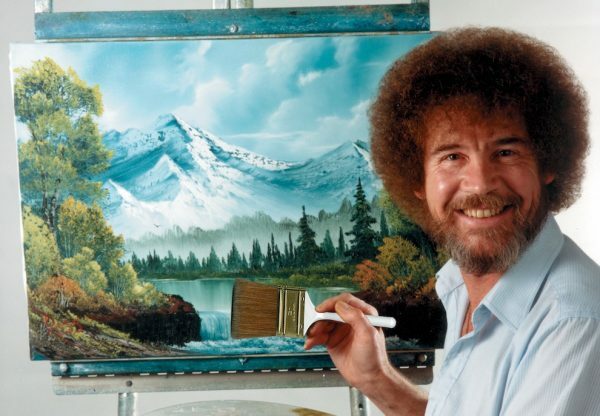 With his dreamy voice and his calm manner, Bob Ross hosted the PBS show “The Joy of Painting” from 1983-1994. Although Ross died 20 years ago, he continues to be admired by his original viewers as well as a new generation that has made him a pop-culture and Internet sensation. Ross’ philosophy that there is an artist hidden in each of us is the inspiration for this exhibit. A series of painting workshops conducted by a certified Bob Ross instructor, Mark Saenger CRI, will teach painting in the Bob Ross style. All the works from those workshops can be entered in a special section of the exhibit for no extra fee. A maximum of 2 works may be submitted by each artist.